While Boracay in Aklan province and El Nido in Palawan are two of the country’s best destinations, Puerto Galera in Oriental Mindoro catches the most interest among Internet users. Puerto Galera, which is located at the northernmost municipality in Oriental Mindoro, is the most searched destination in the country according to the Summer Zeitgeist list released by Google Philippines in May. 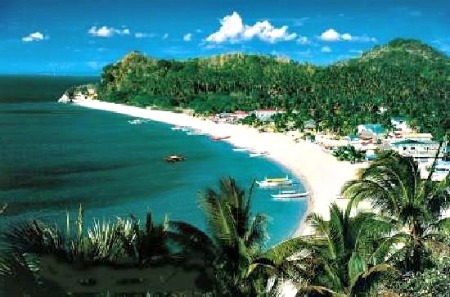 As the local unit of the Internet search giant noted that many Filipinos turn to the Internet for vacation destinations as the summer season nears its end, they found out that the said summer capital of Oriental Mindoro in MIMAROPA Region is being searched the most among tourist destinations in the Philippines by a majority of web users so far. Coming after Puerto Galera, Pagudpud in Ilocos Norte province is the second most searched destination among internet users in the Philippines, followed by resorts such as the Bohol Beach Club and Boracay Regency. Antipolo resorts Bosay and Loreland Farm made it to fifth and sixth place, respectively. Meanwhile, Splash Island, a waterpark in Laguna, remains popular as it held the seventh spot, closely followed by Canyon Cove in Batangas and Subic Resorts in Zambales. Rounding out the top ten is La Virginia Resort, which is also in Batangas province.